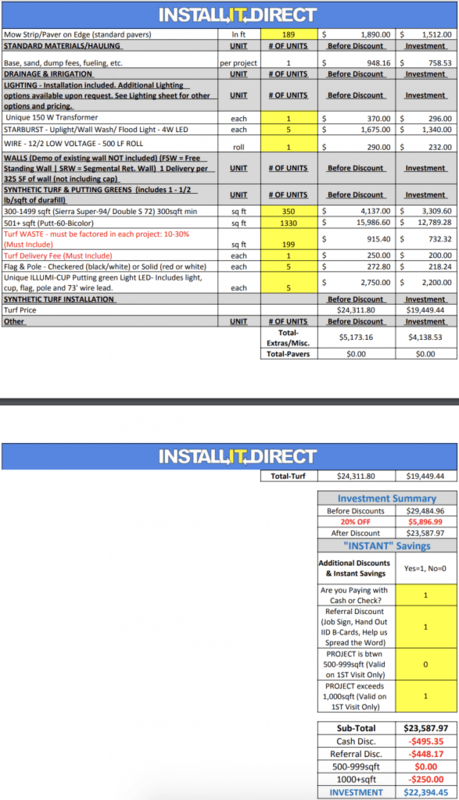 My name is Tim Thomas, one of the owners of INSTALL-IT-DIRECT, and I would like to share our experience + response to the statements made online by Cara Pomidoro. I would like to start off by explaining to our Yelp, Houzz, HomeAdvisor, and BBB readers that we try to write a response for every review that is less than 5 stars because we take so much pride in our workmanship + the quality of customer service that anything less than perfect is not satisfactory to us. For most reviews that are less than satisfactory, there is usually a circumstance where we as a company dropped the ball and did not perform to our usual standards, we therefore apologize. We explain what happened as well as explain what we did as a company to prevent the same issue from ever happening again, promising our readers that we will not make the same mistake twice. Our response to this project, however, will be quite different as we wholeheartedly disagree with 100% of the statements provided by this customer. We will provide exact details as proof that we did absolutely nothing wrong here and actually went above and well beyond. I would also like to note that we have installed 100’s of putting greens since our humble beginnings nearly 10 years ago. 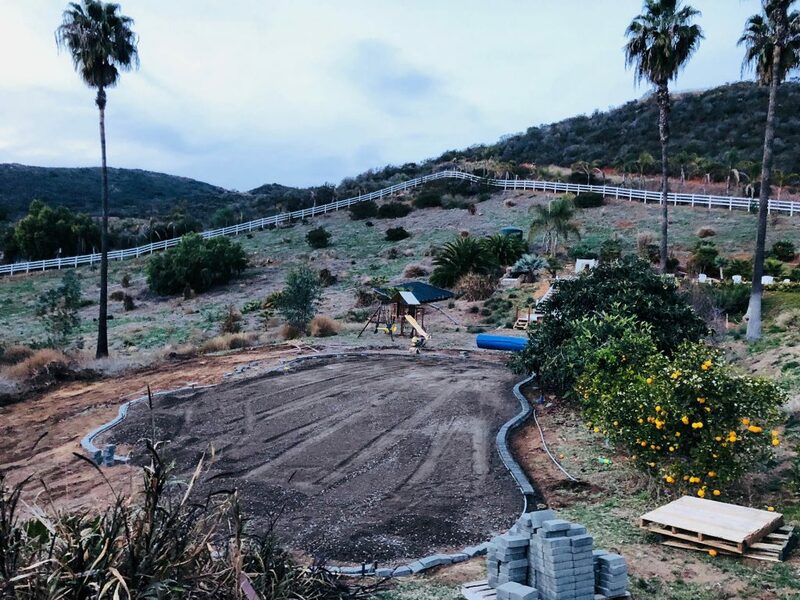 If you go back through our reviews you will notice that almost 95% of the reviews were written by customers who used the exact same crews as we used on this project, which by the way, are some of the absolute finest in all of SoCal, if not the country. From this point forward Cara decided to go to Yelp and write 3 reviews…all 1-star. She then proceeded to go to Houzz, HomeAdvisor and also write 1-star reviews there as well. After that, she went to the BBB and CSLB (Contractor’s State License Board) and filed complaints there as well. She has taken it one step farther and keeps updating her Yelp Reviews so that they show up number 1 in our Yelp feed. While all this is happening we are doing everything in our power to assist this client to resolve their ever-changing demands. The husband (Chris) will approve everything and say how amazing we are and how awesome the job looks and then the next day we will have a new 1-star review from Cara complaining about a new punch list item she wants to be addressed. As you will see below after scrolling through the timeline, we continue to be professional, responding immediately to their demands and attempting to schedule a day/time to resolve them where both homeowners are present so we can get approval from both of them (Cara & Chris). 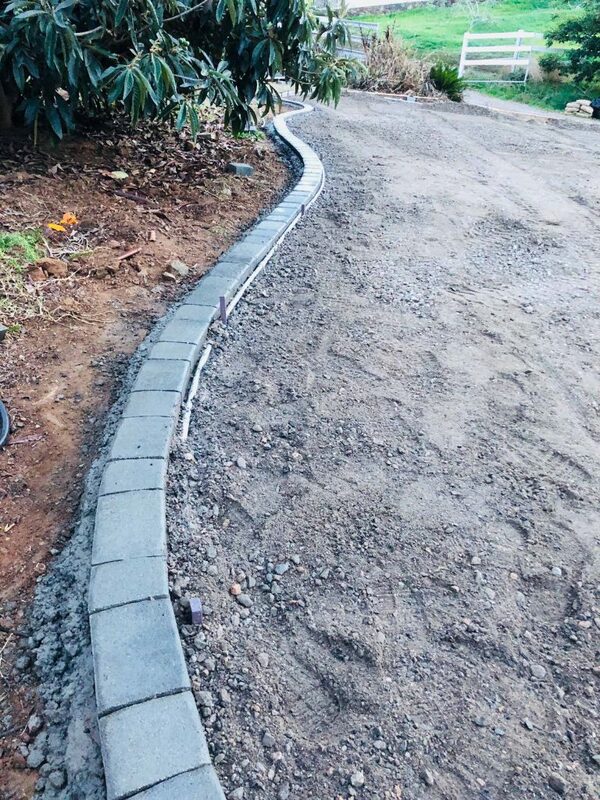 IID went above & beyond in every possible detail on this project to try to please this customer and in 999 out of 1000 times our customers are more than thrilled & grateful, however, unfortunately in life you can’t please everyone & we truly believe this is one of those customers that will never be happy no matter what is done. Her Yelp history proves our point with nearly all 1-2 stars for every single business. She doesn’t have one positive thing to say about anyone. 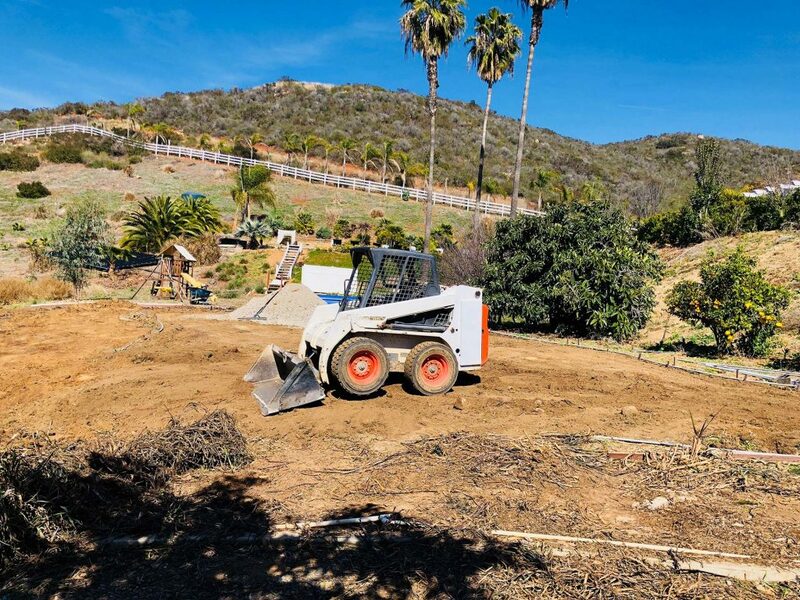 3/6/18: the project commenced with the demolition & grading for the 1680 ft² putting green. 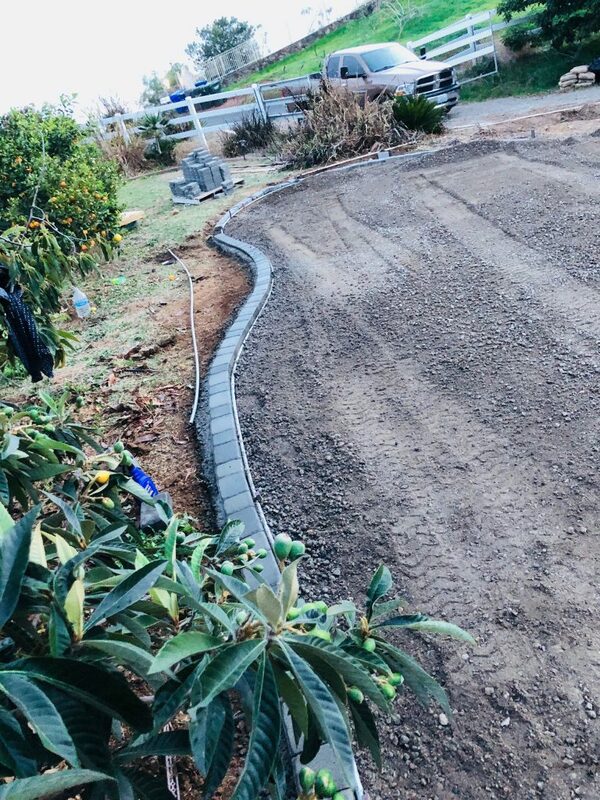 3/7/18: the paver mow strip was installed surrounding the perimeter. 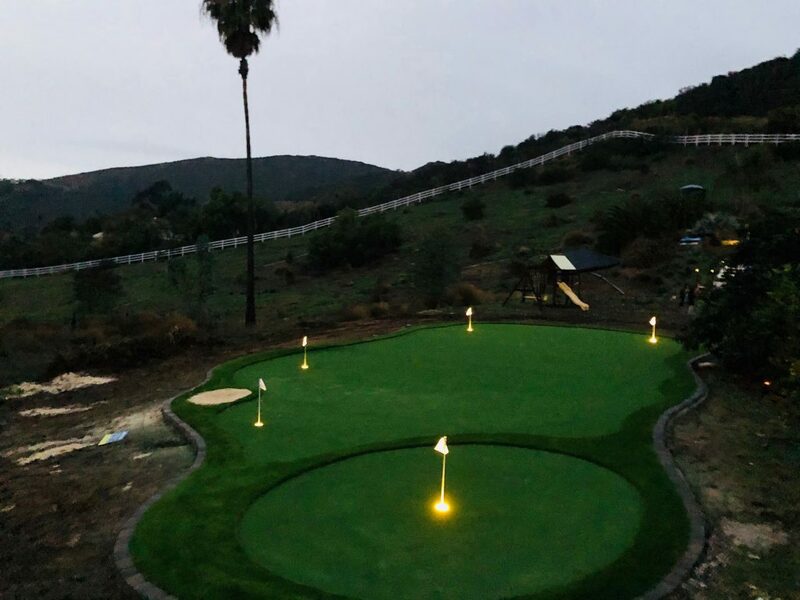 3/8/18: the lighting system was installed which required a lot more work than expected. We took extra time to run all wires through conduit. Progress was halted as a large rainstorm saturated the entire area. 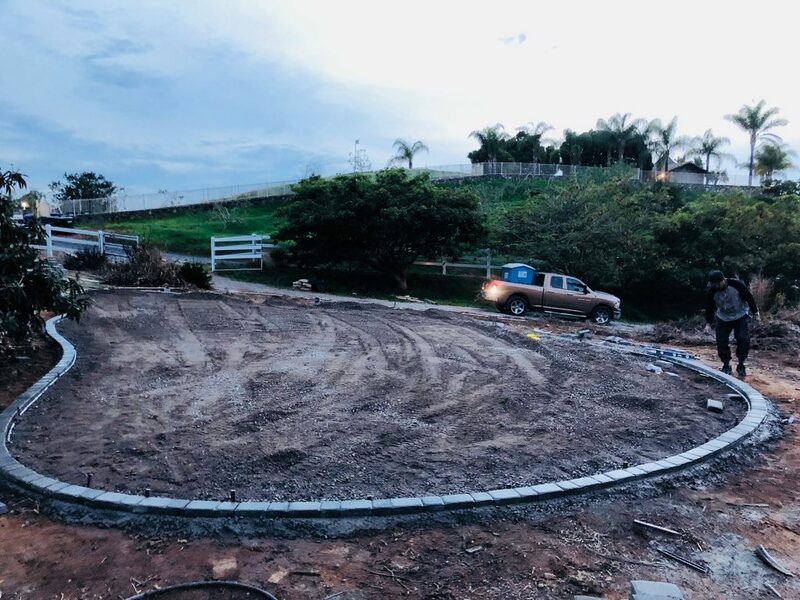 3/8/18: the base was graded and compacted to 95%. 3/10/18: We were unable to work due to the rains and the area being far too wet. 3/11/18: We came out on Sunday(which is usually our day off) and stayed all day and actually into the night to make up for lost time. 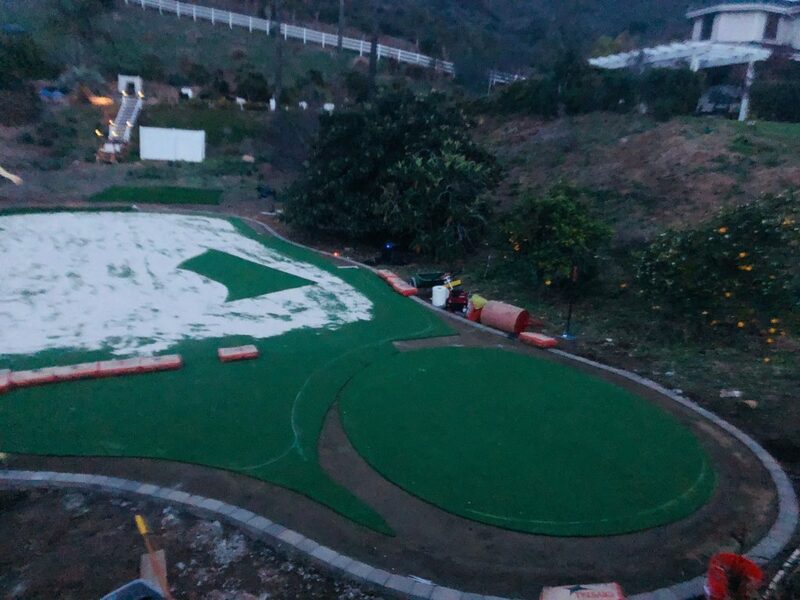 3/12/18-3/13/18: all the turf was laid out, cut, sanded and all of the cups/flags were inserted. We were nearly complete, however, we were delayed by another rainstorm which saturated the area again, causing more delays. 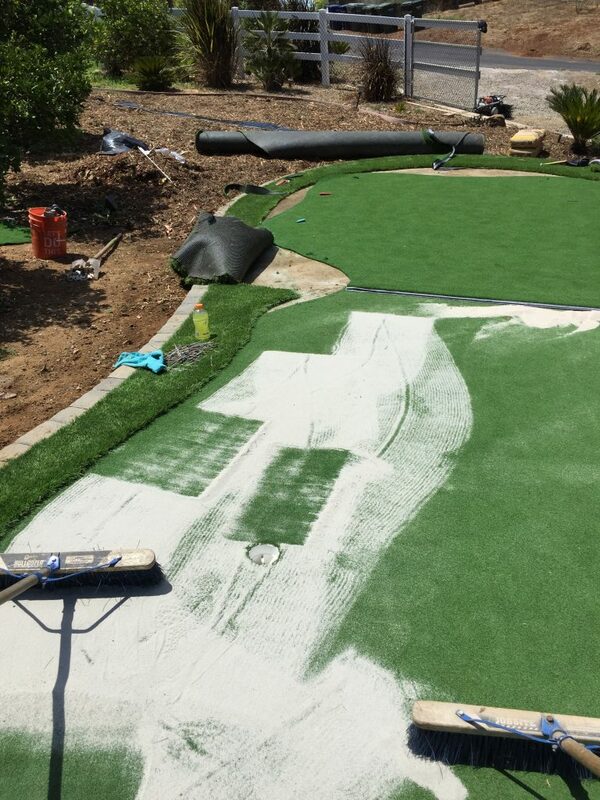 A putting green install is a very detailed project & you cannot work when it is wet due to the sand being saturated. You must wait until it is 100% dry. While waiting, we were forced to work on another project that was not affected by the rain as there was nothing we could do at the Pomidoro residence except wait for the area to dry out. 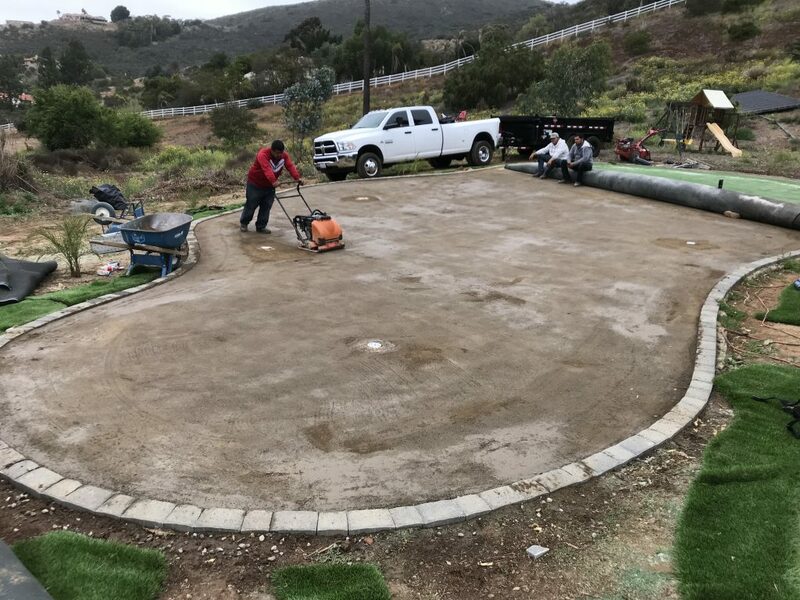 Once the project was dry we returned immediately to complete the putting green. 3/14/18-3/18/18: We made several trips during this time period to assess the status of area in terms of whether it was dry enough to proceed. We weren’t able to do a lot, but made small amounts of progress in regards to all the detail work which we could do while the main area was continuing to dry out. 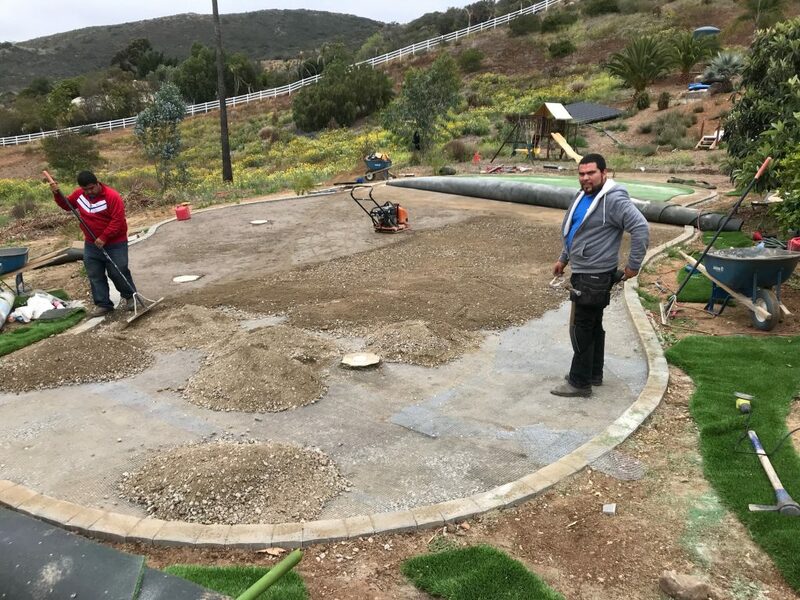 3/19/18: We were able to finalize all the details and complete the putting green in its entirety. 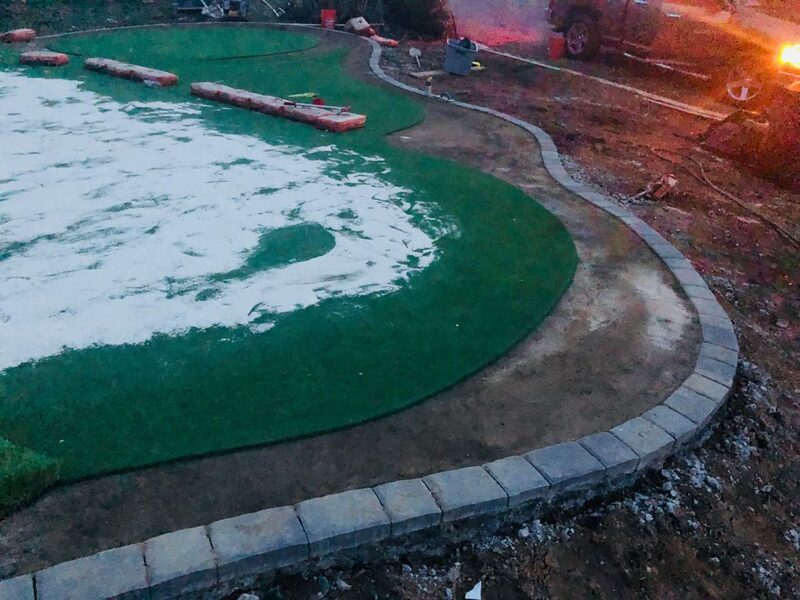 The entire project with all of the rain delays took a total of only 13 days from start (3/6) to finish (3/19), which is not a crazy amount of time by any means considering the weather conditions which were out of our control. 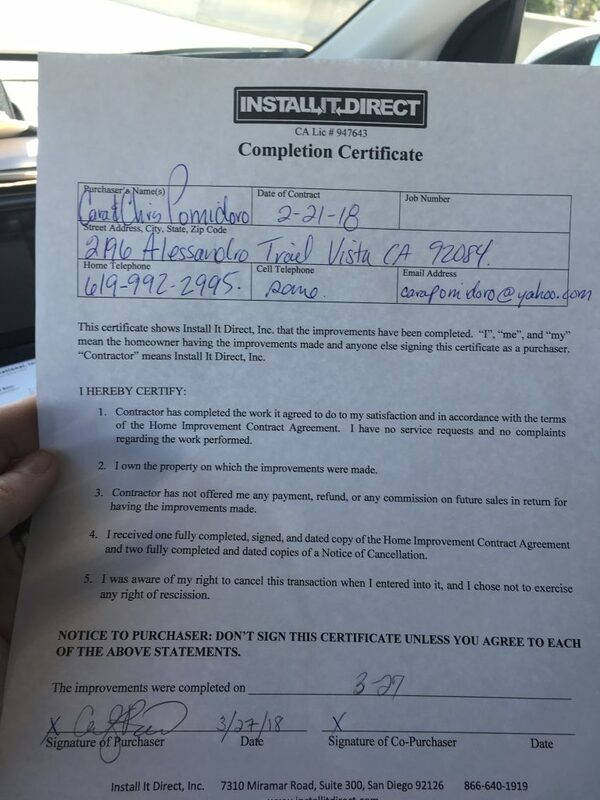 3/27/18: Completion Certificate Signed by Cara Pomidoro. 4/4/18: Cara decided to write a 1-star review on Yelp, Houzz, BBB, HomeAdvisor and file complaints with the BBB and CSLB. 2)I had 6 bids and every one of them; including IID included gopher mesh as we have a very obvious gopher and ground squirrel problem. 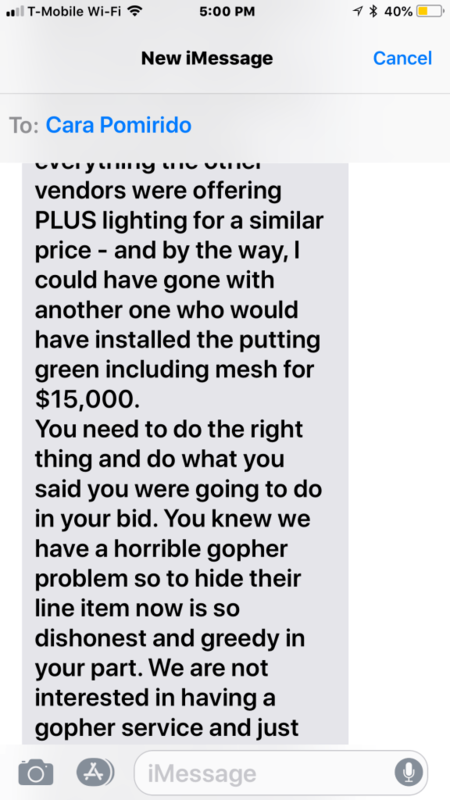 Emily stated after the fact when she showed up with 4 ultrasonic gopher deterrents that her bid did not include the mesh as it doesn’t work anyway and HER preference was using the stakes instead (roughly $20/each. We already have a buckle under the green that feels like a gopher hole. They will come out to fix it but it could be the beginning of several repair visits. 3) The contact states that all design changes need to be approved by us before being implemented. 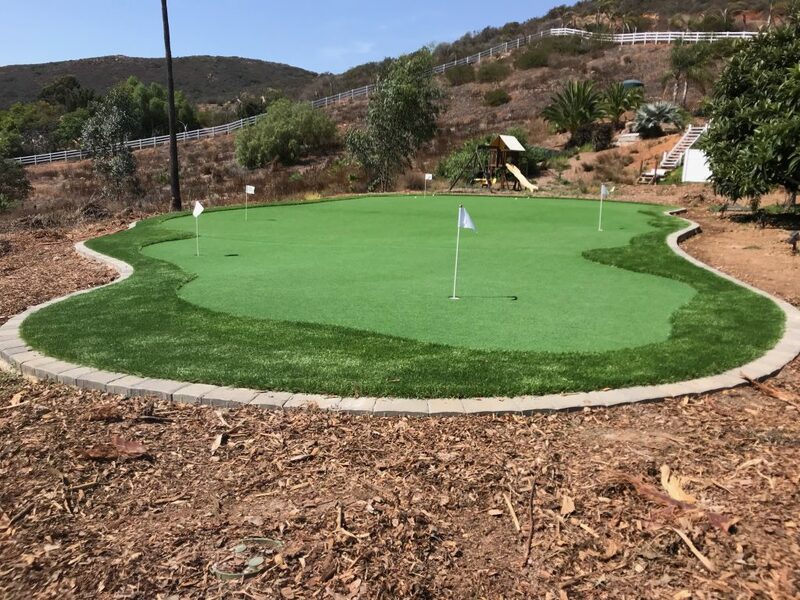 The holes were not placed where they were supposed to go according to our contract and the design for the whole green was changed. It still looks nice but they had to add another hole after it was completed to match the original design and that is the only hole that does not light up and match the others. 4) The crew left our hose running during the day with a shut off spout at the end. 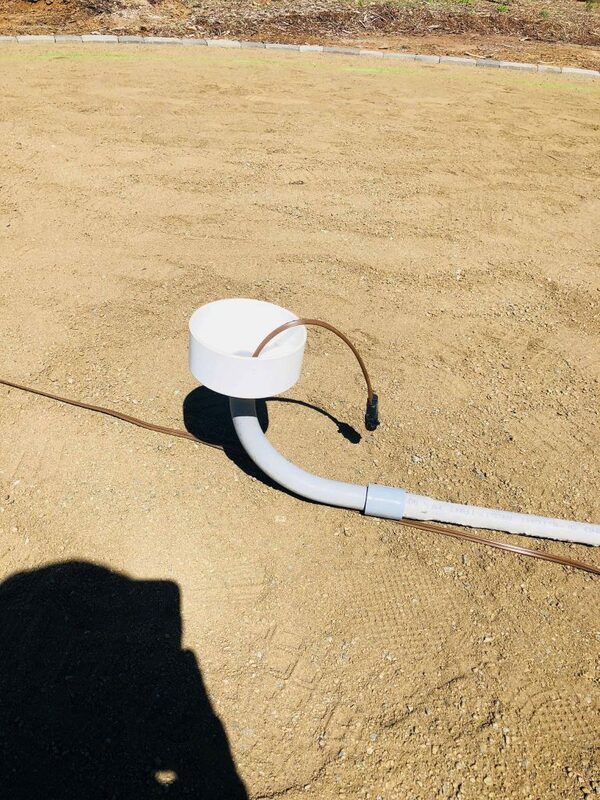 The problem was that we had to attach 2 hoses to make it reach and water sprayed out of the connection all day long – for 4 weeks! At one point they forgot to turn the hose off when they left and 3 days later we noticed water shooting into the air (we live on 5 acres so the hose was far from our house). The area was completely flooded and after reporting it to Emily, her only response was that it couldn’t have been her crew who left it on. Wilber admitted they must have forgotten about it. Our water bill is going to be through the roof! 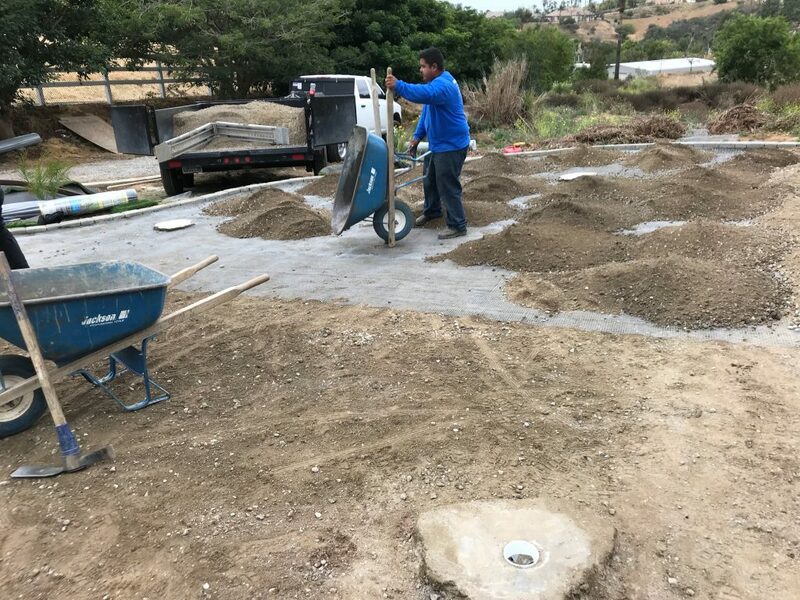 5) Other little things included trying to get them to complete the finishes like repairing sprinklers that were disconnected, covering electrical lighting cords with dirt, filling soil along the pavers to hide the chunked cement, etc…. We didn’t blame Wilber for this as he had been moved to another project 2 weeks prior, but in order for him to get paid Emily had to collect our final check. 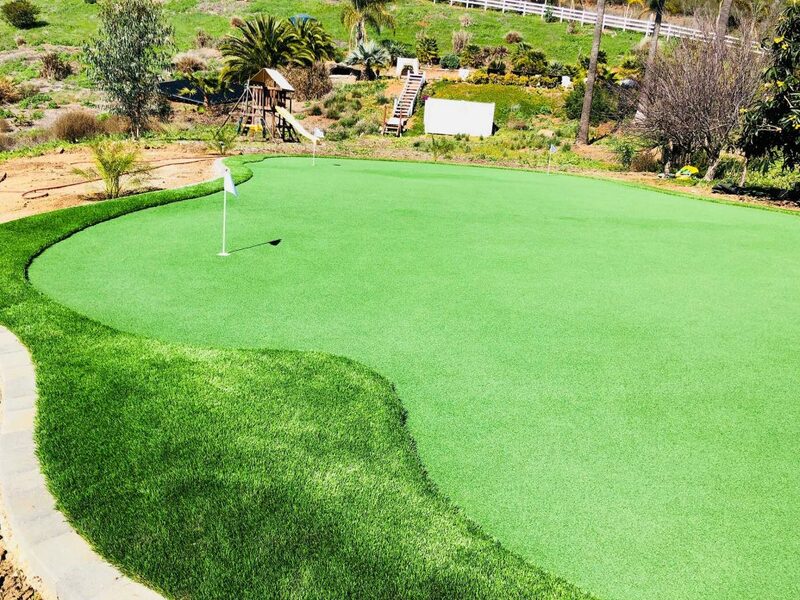 So all in all, the putting green looks nice as long as you ignore the seams. Do we feel that we got our money’s worth? No. We anticipate many visits down the road to fix gopher holes because they cut corners and didn’t install the mesh barrier. Not sure what we can do about the seams other than paying $5000+ to have another company come out and re-do it. 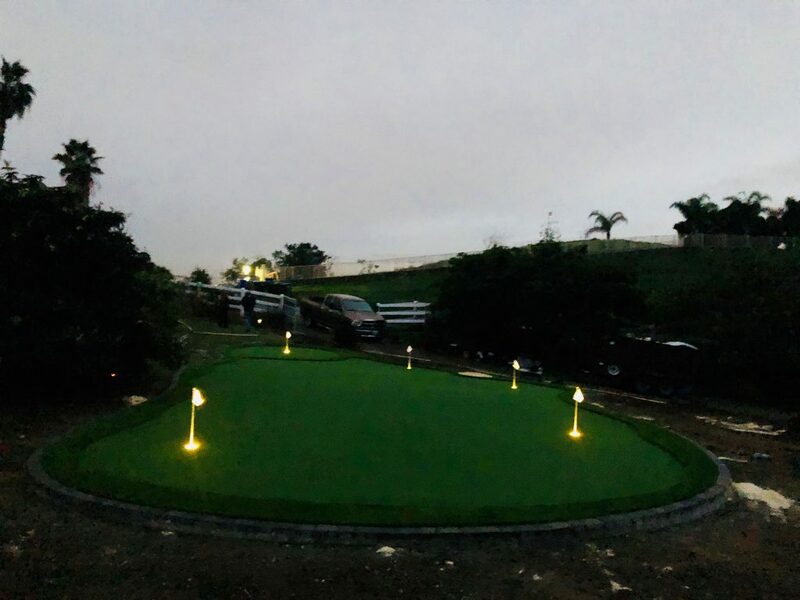 My recommendation – for a project of this magnitude, go with a company who specializes only in putting green installations as they will know all the tricks and best practices. As for the lack of integrity, that seems to be the nature of the beast when it comes to contractors. This has been our experience and very unfortunate. (The customer service manager responded a few days later saying we were working on a resolution and that awesome photos would follow. Their resolution was for us to hire a gopher service for our 5 acres to keep the activity down. This was not a long term resolution as far as we are concerned my update was posted on 4/17/18. 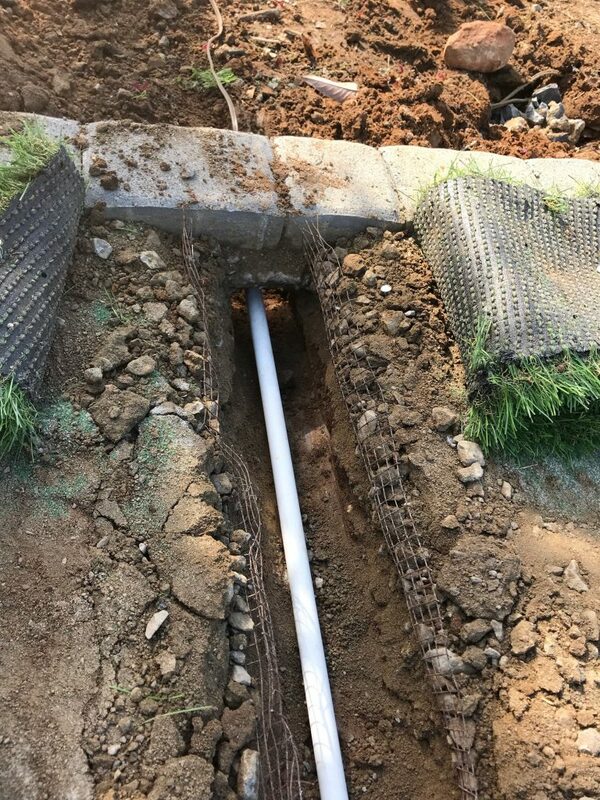 We are working with them on reinstalling the base with gopher mesh but they are not communicating and they fired Wilber and his crew so who knows if the new crew knows anything about putting green installations). We just wanted to let you know that we are in communication with the client (Cara) and Wilber is scheduled to go out to the job site on Monday, April 9th to address/resolve Cara’s concerns. Once that occurs we will provide you with a comprehensive update which time-stamps the entire project from start to finish. We just wanted to provide a brief update here so that you didn’t think we were ignoring this matter. We take every issue very seriously and this is no exception. We will report back Monday evening or Tuesday morning at the latest, so stay tuned. 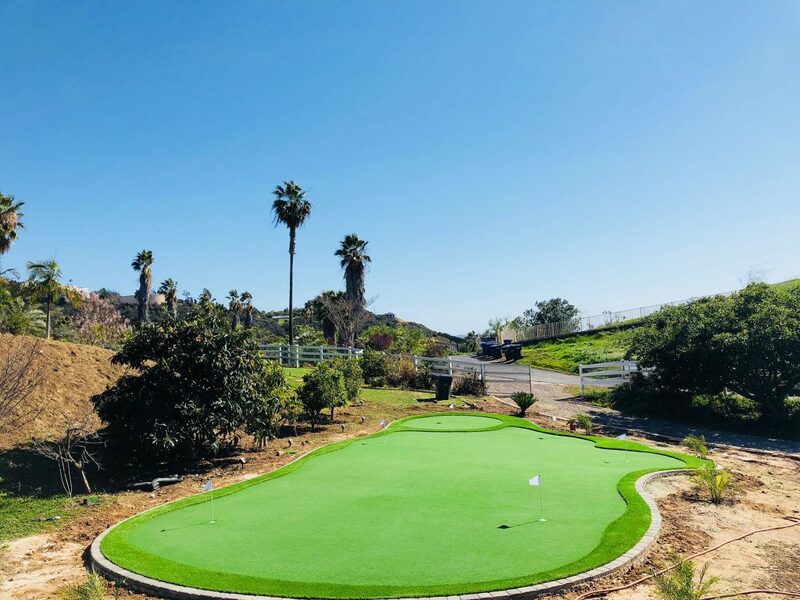 We have a lot to share, along with some pretty cool drone footage that we believe you will enjoy of which we will upload to our gallery after our meeting with the client on Monday. 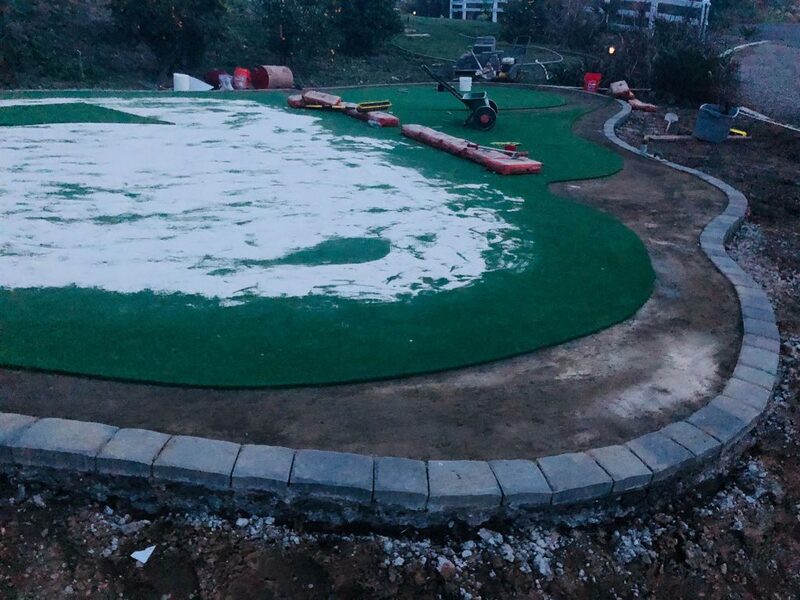 On a side note, the owner of IID, the sales manager of IID, the designer of IID, the regional manager of the artificial grass manufacturer and the manager of the lighting company have all met on site to assess the project and we will report on their findings as well. Have a great weekend and we will provide you with a detailed update next week! 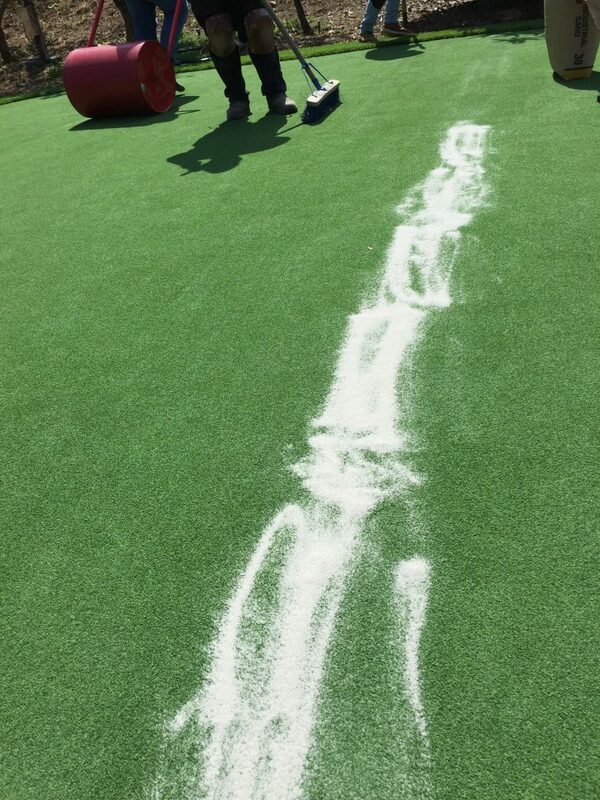 Seams: all turf is manufactured in 15 foot rolls which means there will be seams every 15ft. There is no way around seams. Seams were discussed before the install & we have done everything possible to make the seams as unnoticeable as we can. This is also not a flat piece of land. Please see video and judge for yourself, seams are not noticeable. Gopher Mesh vs. Iluma cups (lighted holes). This was on the quote & we spoke about it quite a bit. 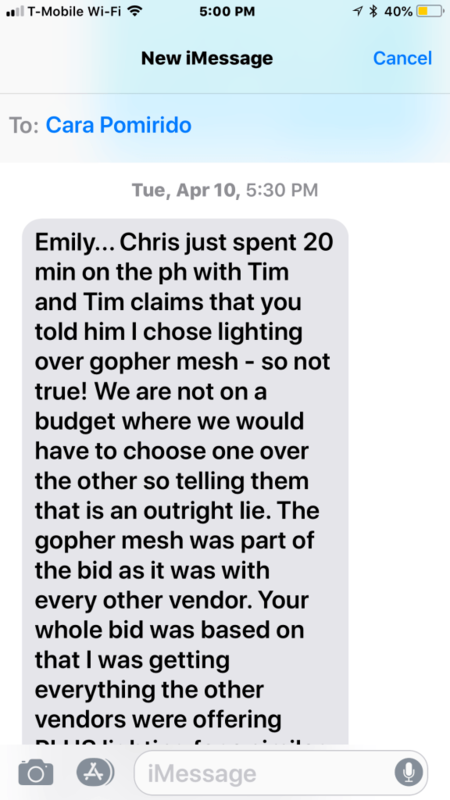 The cost of the gopher mesh was $2,318.40 & the iluma cups were $2,200.00. Cara chose the iluma cups & not the gopher mesh. Nowhere on the contract does it say gopher mesh was included in this quote & the quote that we went over 2+ times also never had gopher mesh on it. Hole placement. Chris(husband) + designer/project manager + installer were all there when Cara was sick on 4/7. Per text from Cara at 8:16am, Chris her husband came down to the site & said “you are the installers, you put them where you think they should be” & we did. All were placed out of ease, & varying difficulty, also not to be in the way of the possible wedding photo shots. IID also purchased hole covers at no charge (not included in bid). Hose left on. The crew did acknowledge that they must have left it on by accident & when the bill came to let us know & we will cover any overages on the bill that differentiates from normal use. She mentioned other little things like repairing the sprinklers which were broken before (which we repaired at no cost) & also tested them in-front of Chris, & they were all working. The drip heads had been turned off by someone else & just needed to be turned on, which we did. Below, you will find the Estimate Sheet Cara was provided throughout the project. You will clearly see that gopher mesh was NOT included, nor did she pay for gopher mesh, so therefore we did NOT install gopher mesh. 4/9/18: Five days later, Cara decided to write another 1-star review on all the platforms. 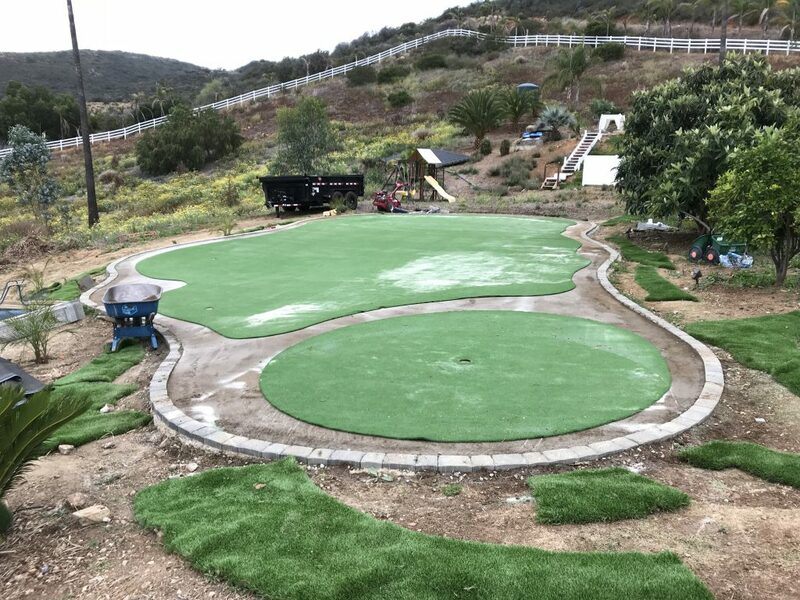 Wilber came out this morning and pulled up the green where the integrity was compromised after only a week of the project being completed. Guess what?? It’s a gopher! No surprise there. This is after Emily assured me that there is no way a gopher can get through the foundation. They wouldn’t be able to get through the galvanized wire gopher mesh that she was supposed to have installed as part of the project but decided mid project (without discussing with us) to go with the ultrasonic gopher stakes that in her words were so much cheaper and worked better anyway. That decision most likely bumped her commission up and the money was more important than doing the job right. The guy from IID who responded wrote a lengthy article on how important it is to include the heavy duty gopher mesh on a job site where gophers are present, yet when I mentioned this article to Emily, she said that he doesn’t get into the field much and therefore didn’t know what he was talking about (my husband heard her say this as well). 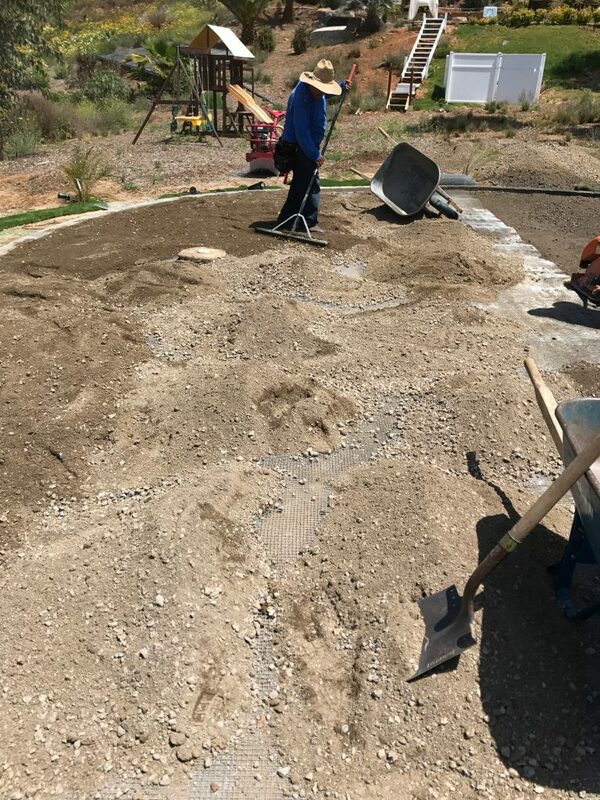 So for all of Ron’s positive words about taking care of customers and getting a drone out to show everyone how awesome the putting green looks, none of that matters if gophers are destroying the foundation and seams are still showing. 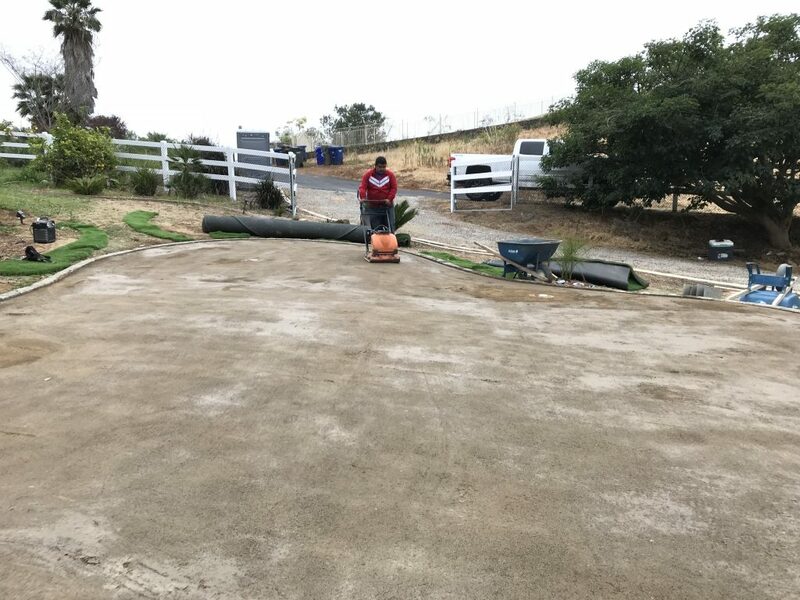 BTW… Wilber was only at our home for about 20 minutes to assess the damage and left without doing anything as he said the company will have to approve pulling up the entire green and installing the galvanized steal gopher mesh that was supposed to be included in our original bid anyway. What a waste of everyone’s time and money whereas if was done right the first time we wouldn’t be in this mess. I just hope that they make it right because it can only go up from here. The gopher companies stated that the next step is for them to visit the affected area(s) in person to assess the appropriate solution for the client, however, their best guess over the phone was that they will most likely need to first treat the putting green area to remove the gophers from that specific area for approximately 30 days and then the area will need to be continuously treated on a monthly basis to keep the gophers at bay. 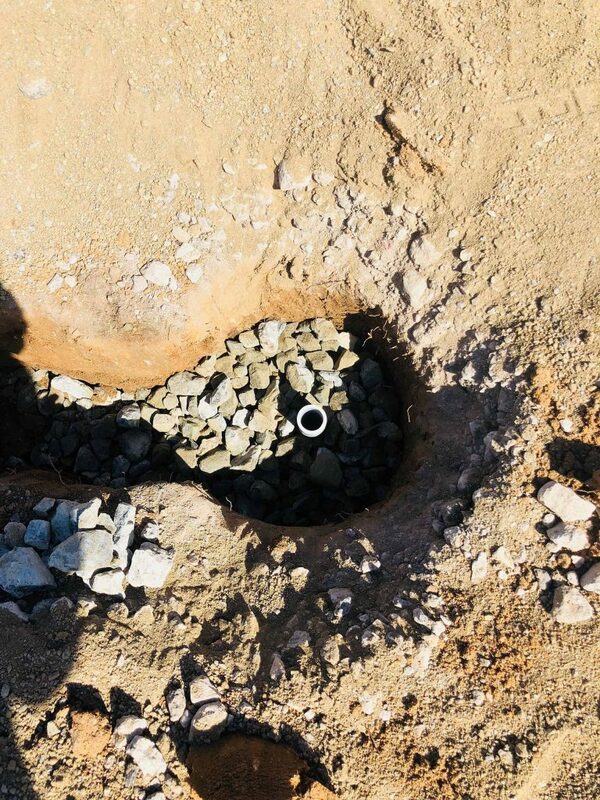 After learning this information, we stopped and left the job site on Monday as there was nothing that we could do to properly resolve the issue without the professional assistance of a gopher company. It would not be in the client’s best interest for us to proceed with anything until the gophers have been removed from the area. Again, the gopher mesh is not the proper solution and would not have prevented this from happening, nor will it prevent them in the future. The proper solution is to seek the advice + assistance of gopher professionals (which we have) so that they can eradicate the area to the best of their ability and then keep them at bay moving forward. Once the gopher company gives us the green light that the gophers are no longer in the putting green area, we can then proceed with repairing the damage caused by the gophers. We are doing everything we can to resolve this matter and we are very proud of our amazing team (Wilber and Emily) and believe we are going above and beyond the call of duty for Cara and Chris(husband). We will continue to keep everyone informed as to the progress and provide our comprehensive update upon completion. If anyone has any questions in regards to how we are handling this situation, please do not hesitate to reach out to us anytime. 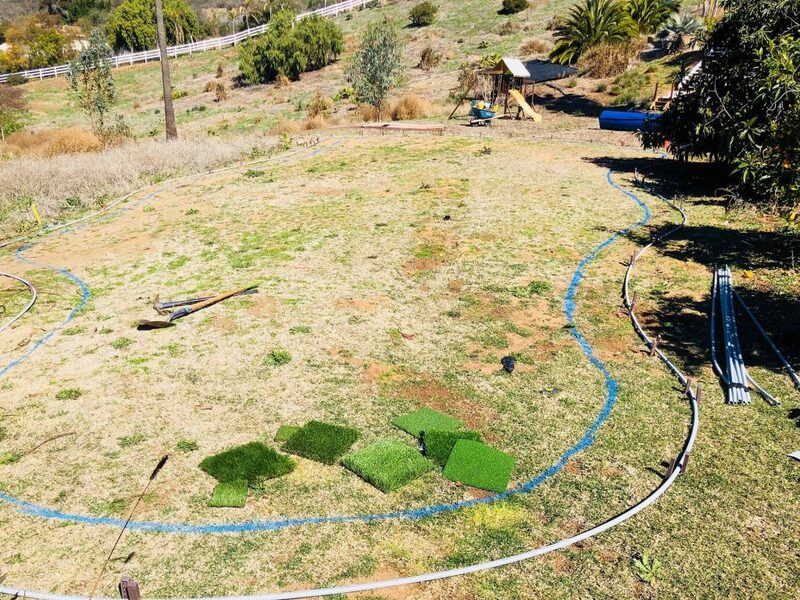 We are looking forward to getting this resolved as quickly as we can so that the client can enjoy their putting green. 4/11/18: We recommended that the Pomidoro’s seek the expertise of gopher professionals. 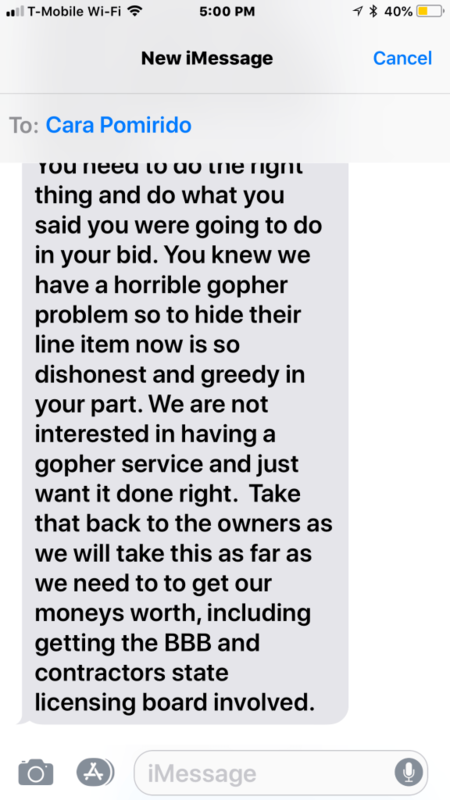 We were proactive and called around and scheduled an appointment with a reputable gopher company to assess the situation. 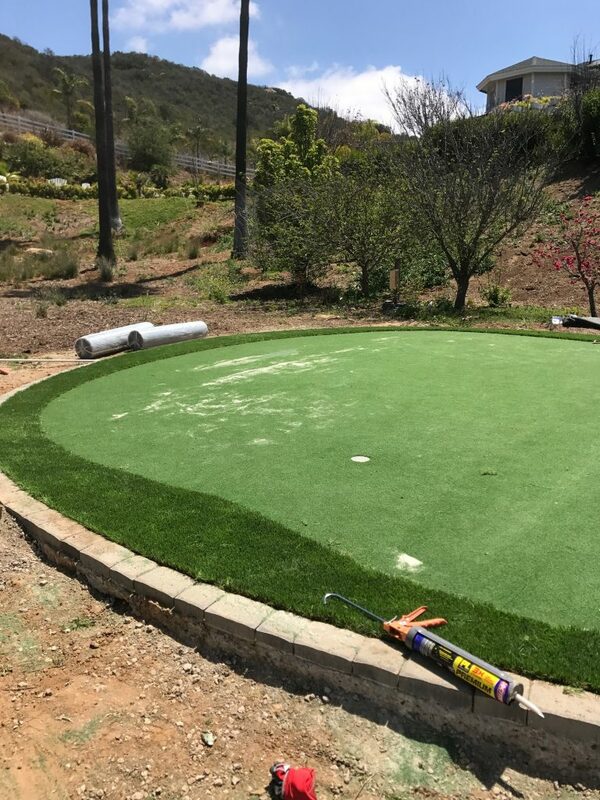 4/16/18: We met with gopher service at customer’s property & the client declined the service even though this is the best solution for the long-term durability of their putting green. Again, gopher mesh does nothing to prevent tunneling under the surface of the putting green and only helps inhibit the gophers from penetrating the surface. 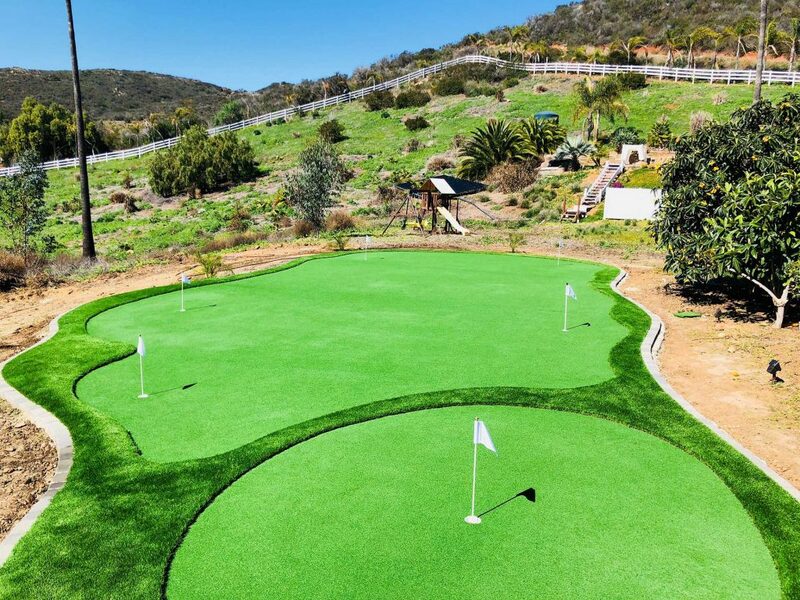 As a result, the putting green will absolutely result in undulations later down the line since they have declined to keep the gophers at bay and away from the putting green. 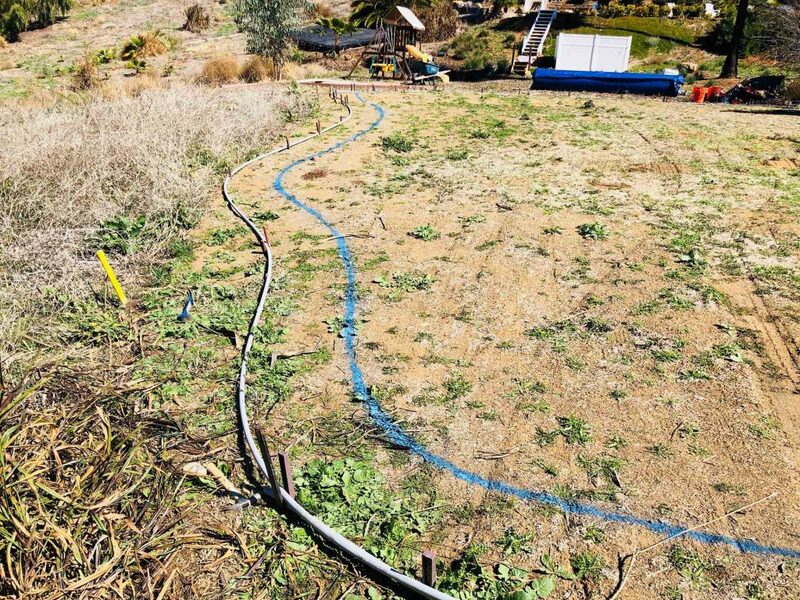 Meaning, the undulations that have already occurred would have occurred if we had gopher mesh installed. Again, the mesh does absolutely nothing to prevent the real problem — gopher tunneling. 5/10/18: Chris finally came out and provided us a check, however, he decided to only give us 50% which wasn’t what we agreed to. 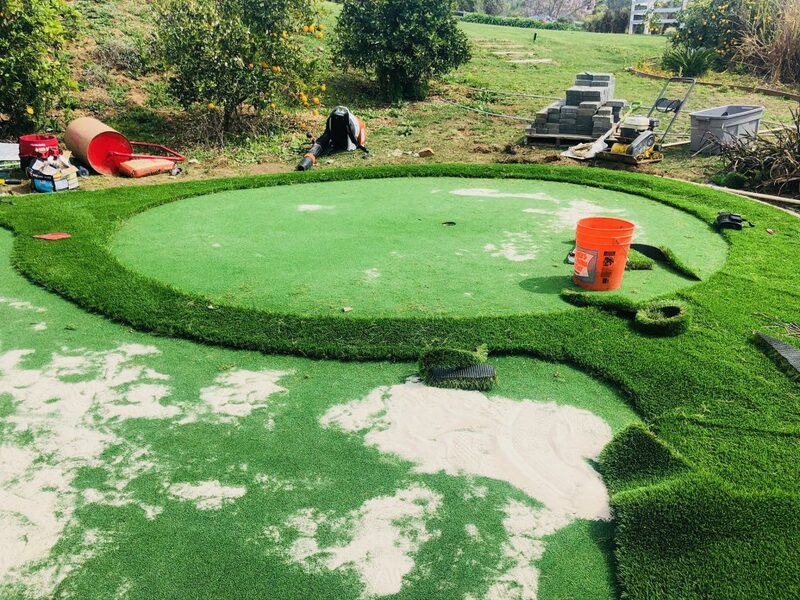 Regardless, we began the process of removing the entire putting green and installing the gopher mesh. 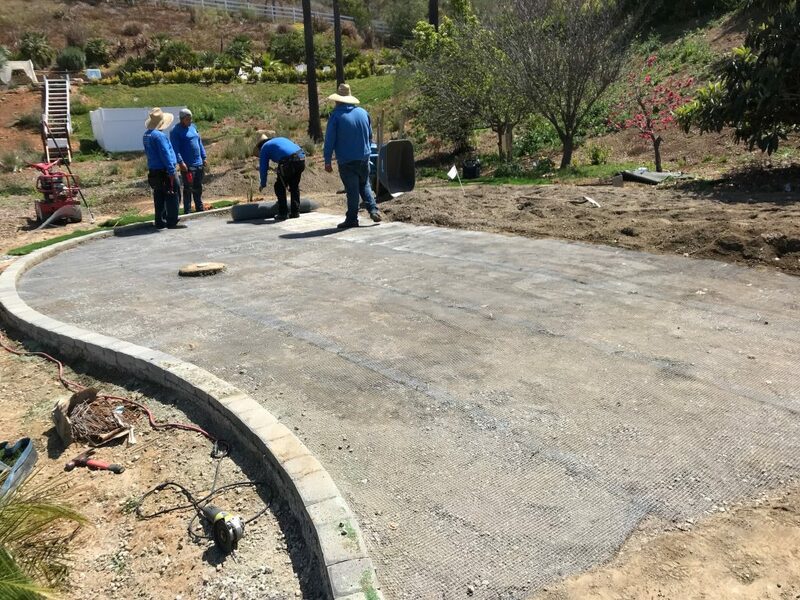 5/12/18-5/13/18 Rain delay — unable to work as the project was too wet. 5/14/18 We were able to resume work. 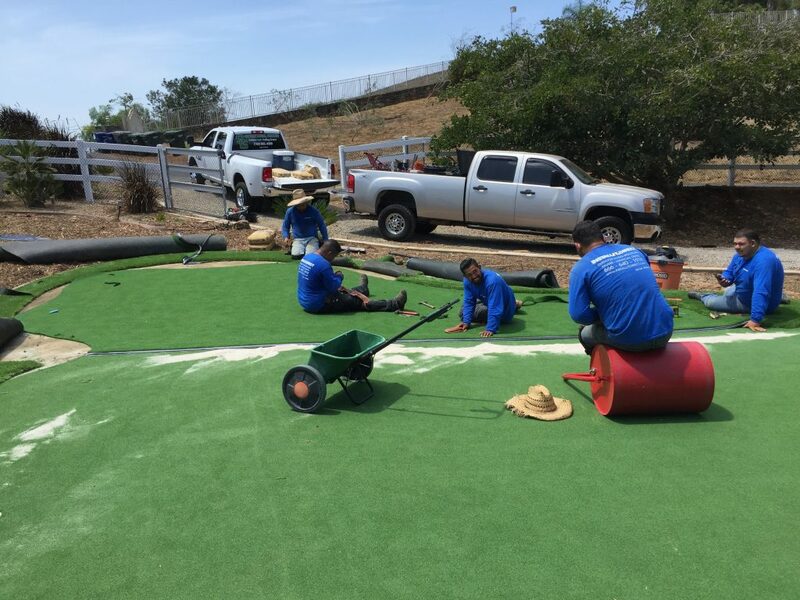 5/15/18: We completed the entire reinstallation of the putting green, which included installing the gopher mesh. 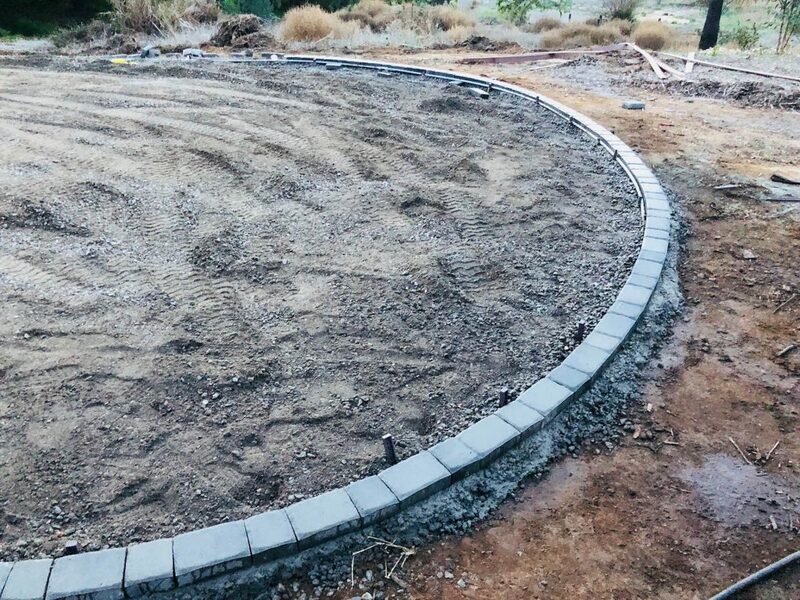 The customer was on site and was completely satisfied with the results. We attempted to collect the remaining 50% of the payment at that time without success. 5/17/18: We attempted to collect payment with no response. 5/18/18: We attempted to collect payment with no response. 5/21/18: The customer has now changed their stance and reasoning for their delayed payment. They now have a small punch list of things they want to be fixed, even though everything was completed to their said satisfaction on 5/15/18. Now they are saying the lights are not working and that they don’t like the seams. Again, on 5/15/18, everything was perfect and they were 100% happy. Fast forward 6 days and they are now upset and saying we are unprofessional and lack integrity. One minute they are extremely happy saying how amazing we are and how everything looks fantastic and then the next minute we are terrible and a horrible company. Keep in mind they still owe us 50% of the agreed-upon amount. 6/4/18: After numerous attempts to reschedule a visit to respond to the customer’s seam issues, the crew visits the site on June 4th and repairs the seams. The customer is on site and approves everything but still does not pay the balance due to one light not working. 6/5/18: The crew arrives to fix the light problem. It is a burnt out transformer and lighted cup isn’t working. The transformer is fixed and all lights are back working. 6/6/18 The customer sends text messages that now the lights are not working again, which is very strange as they were working when we were out there the previous day. 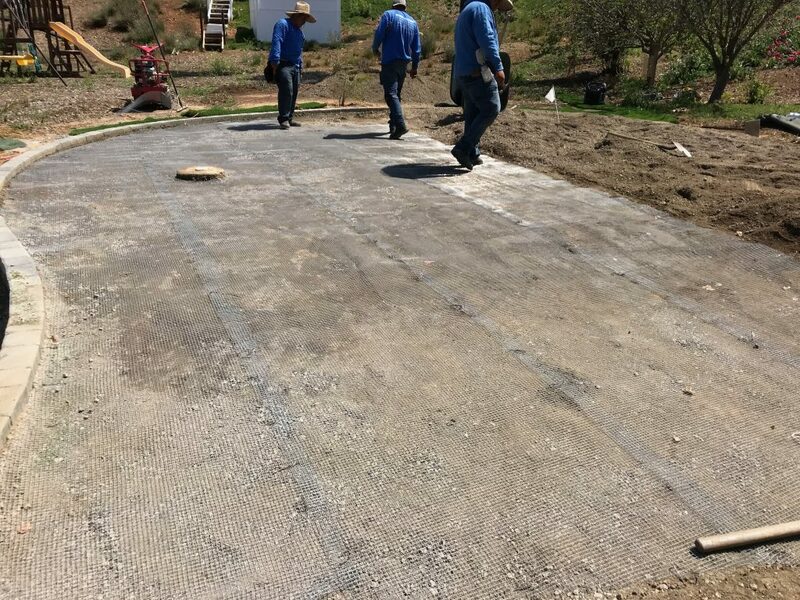 6/6/18 -6/19/18: Numerous attempts are made to coordinate a time for the customer and his wife-to-be home to approve the repair with the seams. It simply doesn’t make sense for us to go out there when they are not present. We need both homeowners present so they can both approve the repair. 6/20/18: Cara decided to go to Yelp once again and write another 1-star review as opposed to communicating with us directly, which is beyond frustrating. 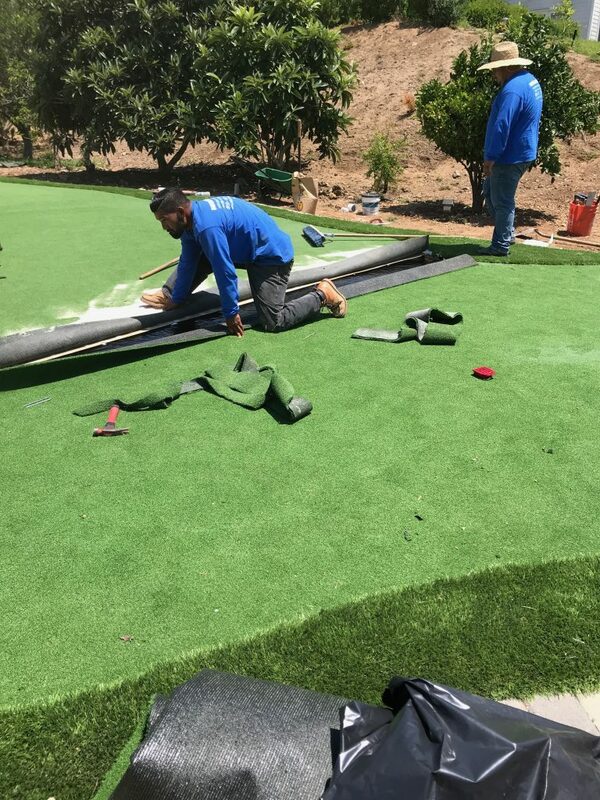 Here we are 3 months after the “completion” of our synthetic putting green and our job has still not been corrected and fixed. We have 2 lighted holes that don’t work, flags missing and that don’t match, large piles of debris that needs to be hauled off, but more importantly, seams that the company is not addressing. We know now in talking to the crew that the job was mis-measured from the get-go, which is why the design was altered without our authorization using more rough to try and hide some of the seams. Other seams are still apparent right down the middle of the green either due to poor workmanship, different batch orders, or perhaps both. 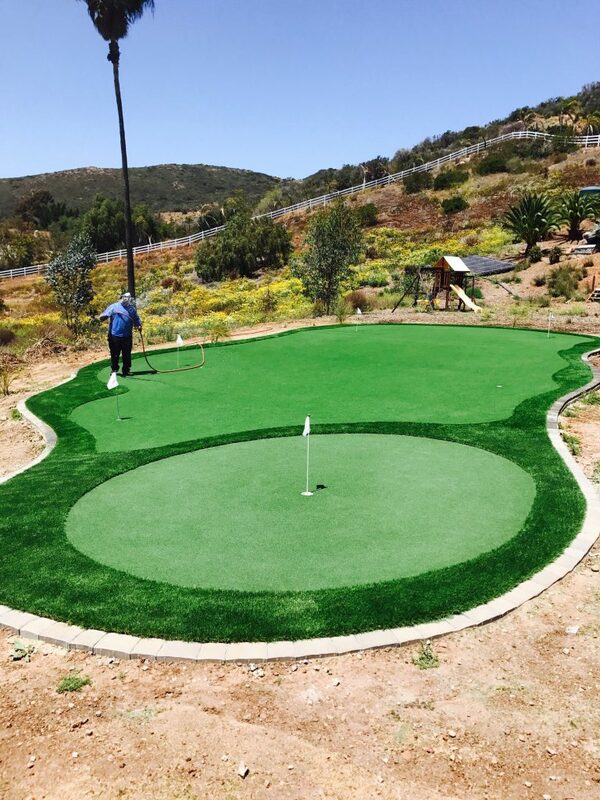 Bottom line, you don’t want to see seams on a putting green anymore than you do in carpet. And it is more critical to not have them on a putting green because they can affect the roll of the ball for the truly avid golfers. We have had a portable toilet by the green for months now that we and I’m sure our neighbors are tired of looking at. We just want everything fixed and the job done right. We keep asking the owner Tim that if he paid over $22k for something, wouldn’t he expect to get what he paid for and within the time frame promised? It’s just a poor way to run a business and I’m not sure how he can expect to get repeat business or even new business operating this way. Mistakes are going to happen but ignoring them is not going to make them go away and how Install It Direct has chosen to deal with this issue is a true depiction of their character as a company. I’m sticking with 1 star. 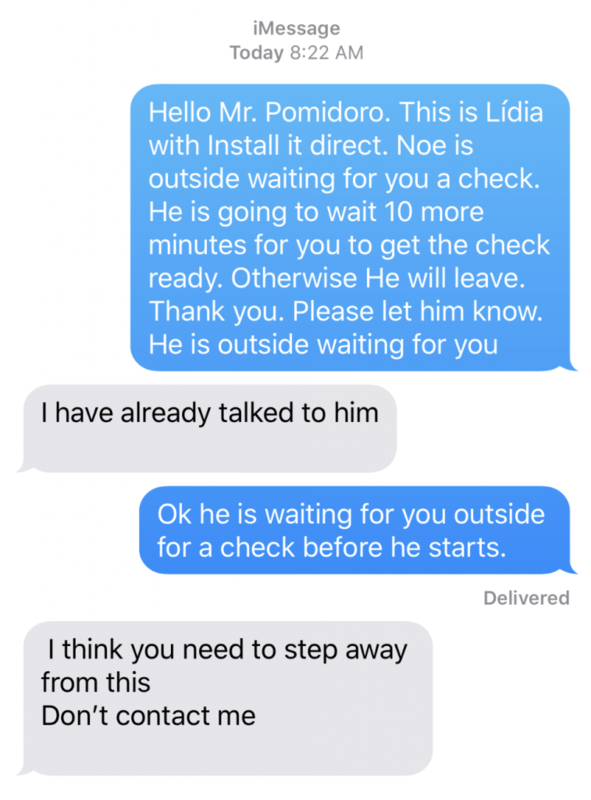 6/21/18: Another text message sent to the customer confirming the light issue and asking for a day/time to coordinate the customer to be home to send a crew to repair the seam issue but no response. 6/23/18: Another message is sent to the customer, still no response. 6/24/18: The customer finally responds saying he will be home the following Monday, June 25th. 6/25/18: The crew arrives and attempts to replace the bulb, however, the lighted cup is a sealed unit and the bulb cannot be replaced without replacing the entire cup. An attempt is made to purchase a new unit however they are out of stock and will take a few weeks to arrive. 6/26/18: Another message is sent to the customer requesting a time where he and his wife can both be home to send a crew to repair the seam while the light is waiting to arrive. 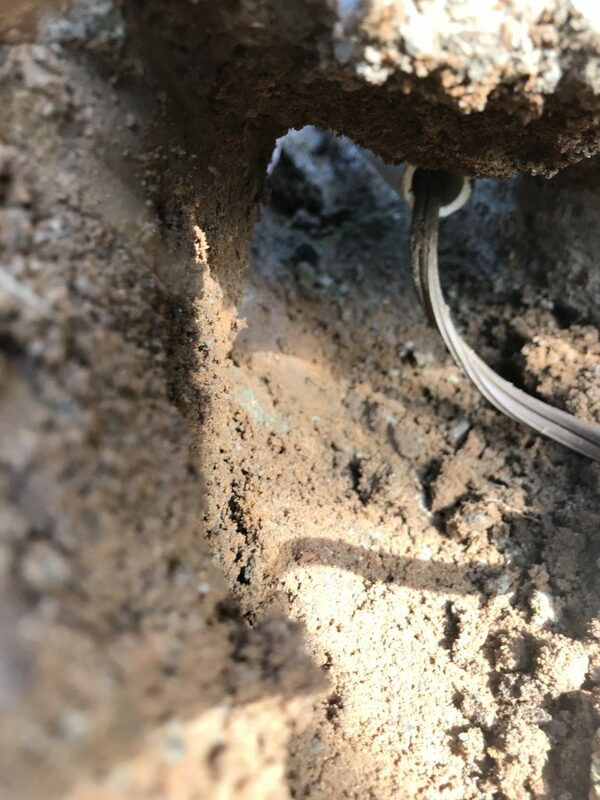 7/2/18: Customer finally responds back and asks to coordinate a time this week for turf crew to revisit the seam issue. 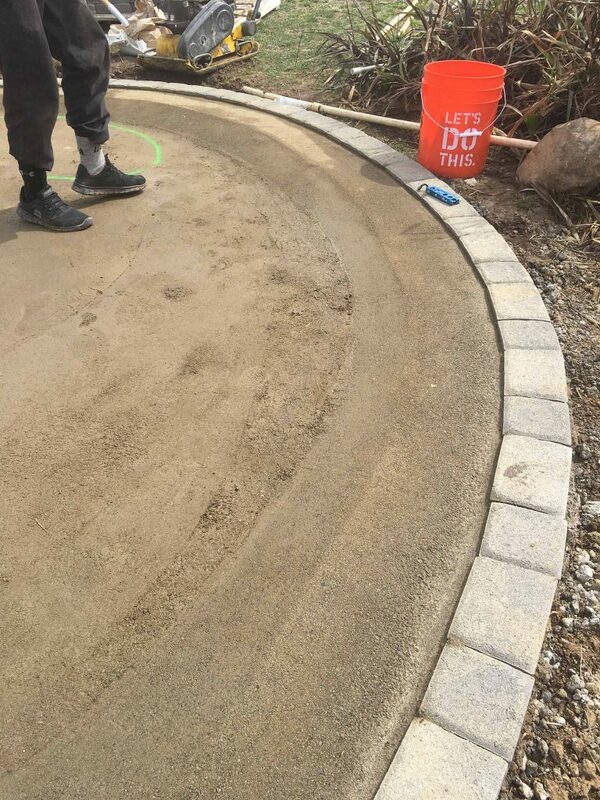 7/5/18: The foreman contacts the customer to set up a time to discuss and resolve the seam issue. No answer. Leaves message. 7/6/18: The foreman contacts the customer again. No answer. Leaves message. 7/7/18: Cara decided to go to Yelp for the 4th time and update her review so it would show up first and at the top of our feed. 7/7/18: Chris finally responds and we have a meeting set for 7/10/18 @ 9 am to address the seam issue. 7/9/18: Cara submits another complaint to the BBB and we responded right away letting the BBB know that we already have a meeting set up for the following day 7/10/18 and that we are doing everything we can to resolve the complaint as quickly as possible. 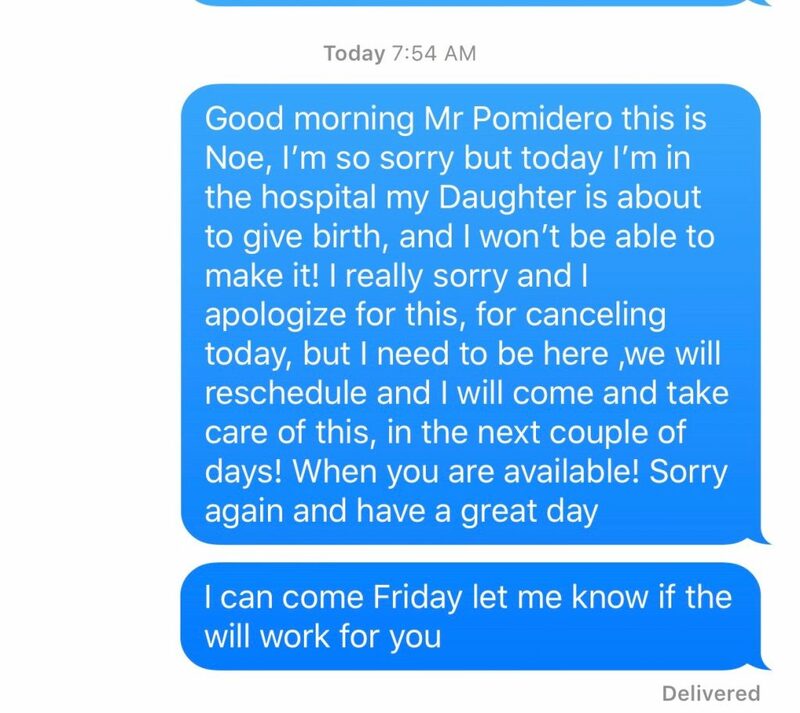 7/10/18: The foreman’s daughter went into labor early this morning and we reached out to the Pomidoro’s immediately (7:54 am) to explain the circumstance which prevents us from being there at 9 am and have asked to reschedule. Chris said that was just fine and would get back to us to confirm a new day/time. We are waiting to hear back as to when will be a convenient time/day for them. 7/10/18: The BBB determined that IID had addressed the issues within the complaint, and therefore closed the case. 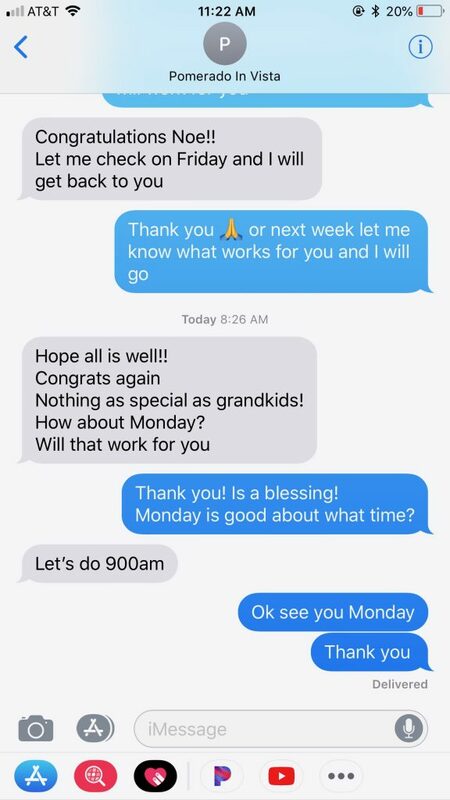 7/11/18: Chris responds back that July 16th @ 9 am would work for him. So we are all set to resolve the remaining issues at that time. 7/11/18: We immediately reached out to Kayla with the BBB via phone and email to explain that we communicated in advance as to the circumstance which prevented us from being there on Tuesday and that we had already worked out a time with Cara’s husband Chris. Kayla said she would review the case and let us know the outcome. 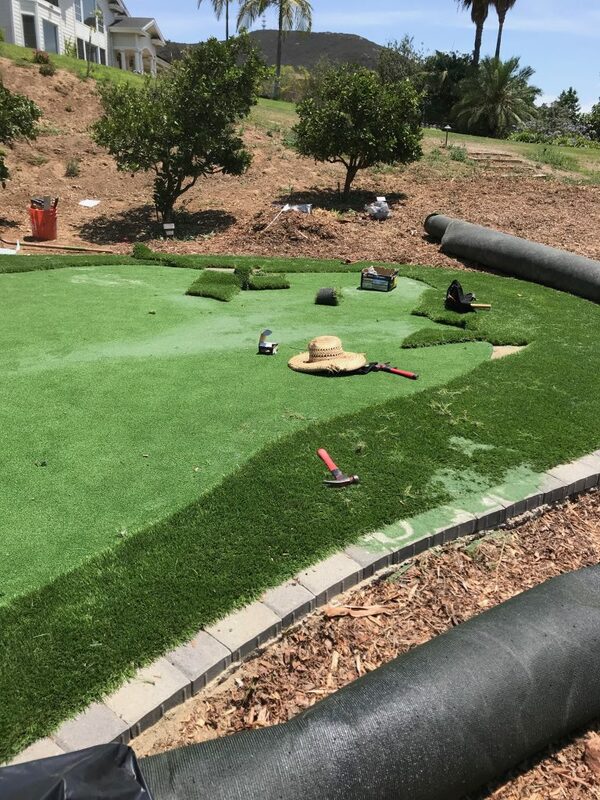 7/16/18: We showed up at 9 am to address the issues and were told by Chris to not do any work as they now don’t like the design and want the putting green completely re-done. If they were unhappy with the design, why are they just bringing this NEW concern up now? 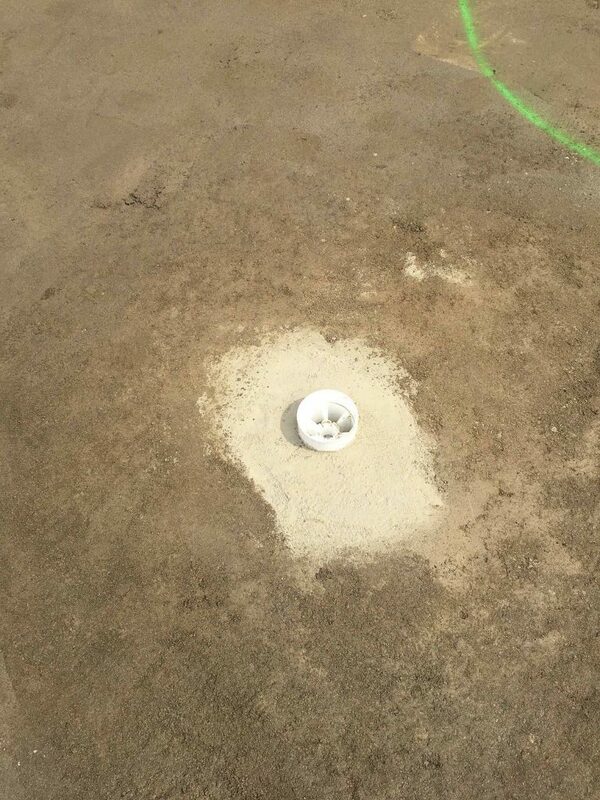 When we redid the putting green for a second time to install the gopher mesh, that would have been a great time to let us know about their design concerns. Another example of how we have been trying and trying to resolve their issues and their punch-list continues to change each and every time. Tim (one of the owners of IID) will be meeting with Chris on Friday (7/20/18) at 1 pm. 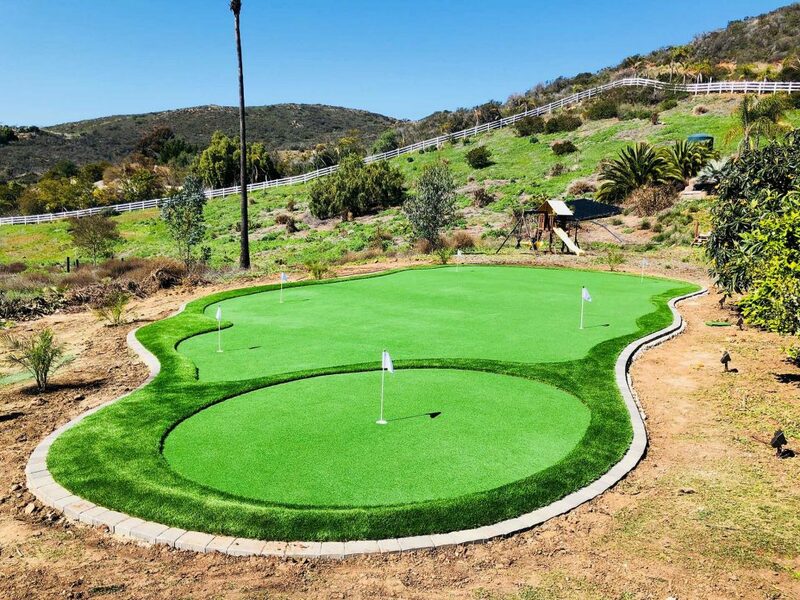 7/20/18: Tim (one of the owners of IID) and Ronald Dombroski (Customer Service Manager of IID) met with Chris at his house at 1 pm to review the issues they have with the putting green. 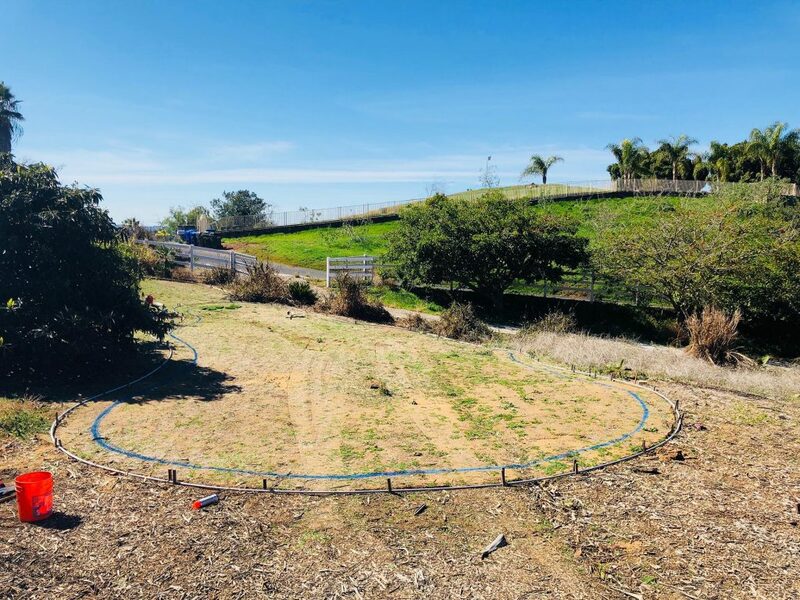 Cara (who has been very outspoken online in terms of all the negative reviews and complaints) was onsite but chose not to meet so everything was worked out with her husband Chris who was very eager to come to an agreeable solution so all parties can move on. 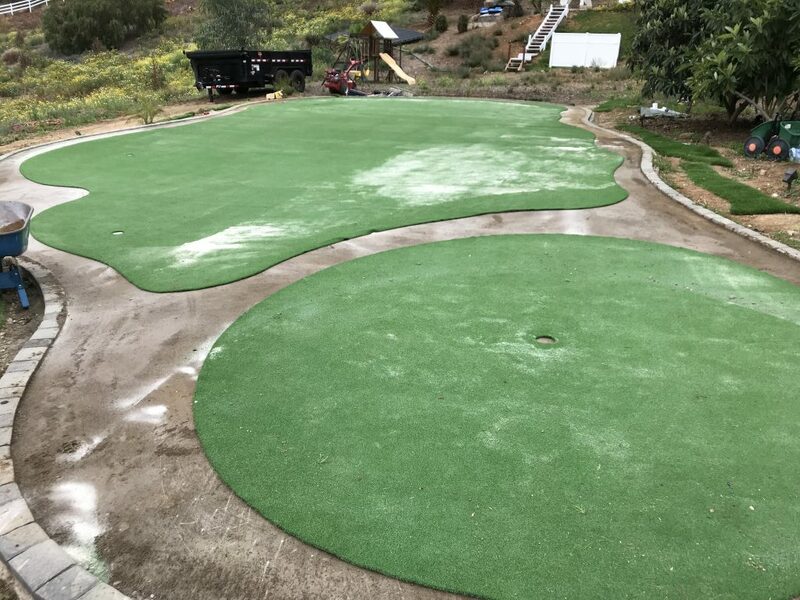 The agreed-upon solution was to remove a portion of the circle at the end of the putting green fringe and replace it with putting green surface so that the putting green is not sectioned into two pieces. 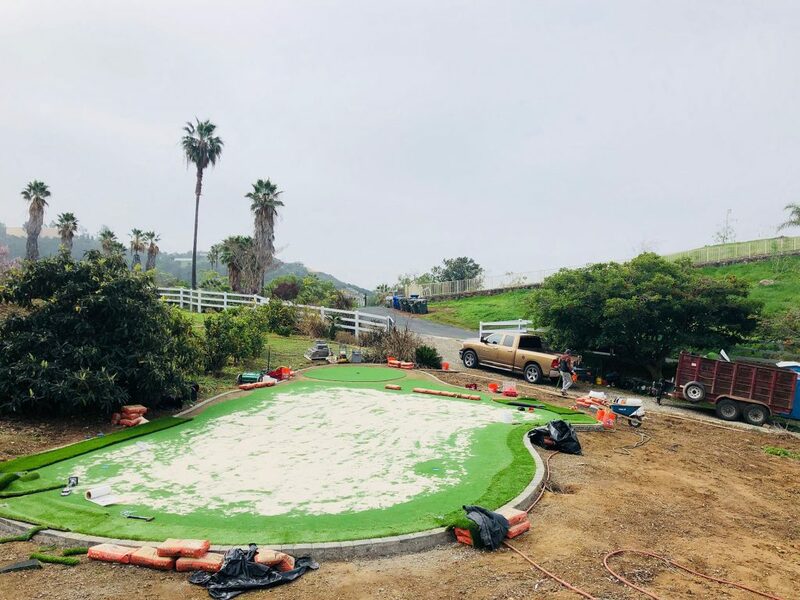 Chris was informed that even though we were going to ship the exact same dye lot for the replacement piece of turf that there was 100% going to be a color variance due to the fact that his original green had been exposed to the sun for months. Chris has agreed that the seams are to his satisfaction and do not need to be reworked so that issue is finally put to rest. Chris is going to pay for a 6th iluma cup and we will install it. 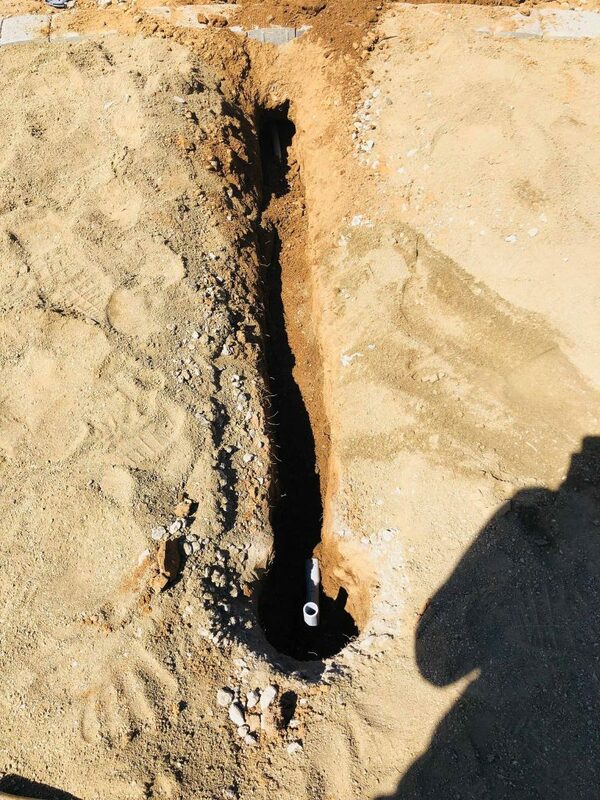 We will also re-connect a 17 lf piece of irrigation pipe. Chris signed a zero dollar change order which itemizes every detail above so that there will be no more punch list items upon completion. Chris also paid the outstanding balance for the gopher mesh so we are settled up in that regard. Finally, Chris has agreed to remove his wife’s(Cara) complaints with the BBB and CSLB. We have a tentative installation date of 7/31/18. 7/31/18: We showed up at 9 am and completed everything as discussed. The job is now 100% complete. To recap once again, I would like to say that we went above & beyond in every possible detail on this project to try to please this customer. In 999 out of 1000 times our customers are more than thrilled & grateful, however, unfortunately in life you can’t please everyone & I truly believe this is one of those customers that will never be happy no matter what is done. Her Yelp history proves our point with nearly all 1-2 stars for every single business. She doesn’t have one positive thing to say about anyone. I would also like to mention that we document every single detail of all our projects from start to finish which includes pictures, videos, calls, texts, emails, notations, etc. which are all time-stamped so that if need be we can go back and reference anything at any time. What we have provided within this post is just a snippet of all the content we have documented. Anyone who takes a look at the file would be more than impressed with every aspect of the professional nature that we conducted ourselves on this project from the quality to over the top customer service. We are a 100% transparent company & we welcome anyone to come down to our office so you can judge for yourself. 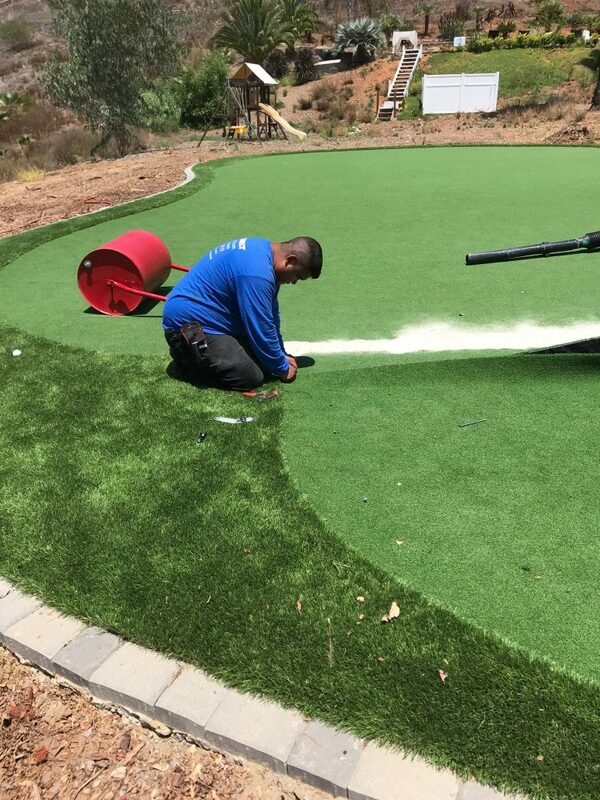 We can put you in contact with them as they have personally looked at 1000’s of putting greens over the years & can vouch for the quality & service that IID brings to the table each & every day for all our clients, which is second to none & this job was no exception!